About Us Our Vision and Mission The Team Community Service Programmes Kids and Youths Adults Holiday Camps Schedule Timetable FAQ FAQ Terms & Conditions ContactTrial Available! Singapore’s Youngest Ever National Pesta Sukan Champion at the tender age of 12 in 1994. Youngest member selected to represent the Singapore delegation at the Southeast Asian (SEA) Games 1995 in Chiangmai, Thailand. Represented Singapore in the ITF Fed Cup between the years of 1997-2004, helping Singapore be promoted to Group 1 of the Asia/Oceania region (remains as Singapore’s record-holder for the highest winning record (20-6) at the ITF Fed Cup). Ranked Top 150 in the International Tennis Federation (ITF) Junior rankings and Top 20 in the Asian Juniors while studying at International Tennis Academy in Florida, USA. Singapore International Junior Championships in 1998. Offered a Full NCAA Tennis Scholarship to attend the Georgia Institute of Technology (Georgia Tech) and to represent the school on the NCAA Collegiate Circuit. Became Georgia Tech’s Career Leader in both singles and doubles victories. Named to the Atlantic Coast Conference (ACC) 50th Anniversary Team in 2002. Awarded “Total Person Award” – for the Student-Athlete who best exemplified excellence in academics, athletics, character and community service. Undefeated at the National Pesta Sukan 2010 – Ladies Singles Champion, Ladies Doubles Champion and Open Mixed Doubles Champion. A household name in Singapore’s tennis scene, founder and Head coach of Ignite Tennis Academy Jaime Wong has had extensive competitive tennis experience from representing Singapore in the SEA Games and Fed Cup to playing among top NCAA college players in the U.S. as a collegiate athlete. Jaime’s desire to ignite the passion in tennis and groom aspiring players eventually made her turn to coaching, and as Head Coach, she now oversees the various tennis programmes at Ignite Tennis Academy to ensure optimal training and development of each player. Jaime’s ability to impart her skills and knowledge was most recently demonstrated at the STA-SPEX 2nd Age Group in June 2013 where her students swept 3 titles – U-10 Boys Singles Champion, U-10 Girls Singles Champion and U-10 Boys Doubles Champion. 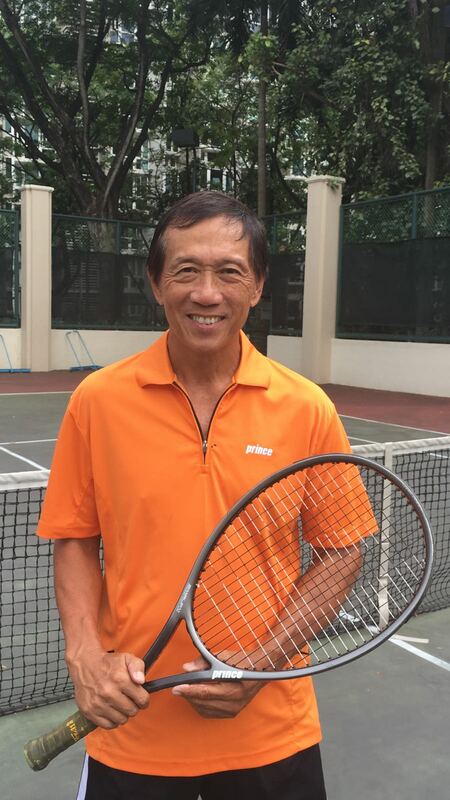 As a tennis coach for over 30 years, Wen Bin has attended many International Tennis Federation (ITF) as well as Singapore Tennis Association (STA) coaching workshops and is also a UPSTA certified tennis coach. He was also an ITF Level 2 White Badge Official, a select group of the most highly respected officials in the world. Wong Wen Bin is the father and coach of Jaime Wong (ex-national player and founder of Ignite Tennis Academy). Touted by the Straits Times in 1994 as a “tennis-mad” father, Wen Bin played an instrumental role in the training and development of his daughter, coaching and guiding her through her primary school years before she left for the United States at the age of 14. After graduating from university, Junjie went into full-time coaching. Apart from being Head Tennis Coach in Xavier school (grade school and high school), he also returned to UP Diliman as Head Coach of the men’s varsity tennis team, guiding the team to 1st Runner-Up in the 76th University Athletic Association of the Philippines Championship. In 2011, Junjie competed in a tournament hosted by the Interscholastic Tennis Association and emerged as a triple champion. From the Philippines, Junjie has immense experience in coaching and playing competitively. He was discovered as a junior player when he won the U-12 championship in a local tournament, and was a great asset to the men's varsity team at the University of the Philippines, Diliman (UP Diliman) where he was awarded to the Hall of Fame as an Outstanding Athlete for 5 consecutive years and also represented the Philippines in the Asian University Games in 2001-2002. Apart from Head Tennis Coach in Xavier school, Junjie also returned to UP Diliman as Head Coach of the men’s varsity tennis team. RK competed in many ITF and international tournaments as a junior player, and represented the Philippines in the World Junior Championship Asia Oceana Qualifying (U-14) and Junior Davis Cup Asia Oceana. Formerly a varsity player of University of Santo Tomas Manila and awarded Most Valuable Player in the Men’s Tennis Division of the University Athletic Association of the Philippines in 2011, RK was a travelling coach to a nationally ranked junior player in the Philippines before joining Ignite. Born in Teresópolis, a small town in the Rio de Janeiro State, Fernando started playing from the age of 7 and was highly ranked as a competitive junior player. He has played and practiced with players such as Gustavo Kuerten, Andy Murray and Andy Roddick, and was formerly Head Coach of Talent Development at a tennis academy back in Brazil. Fernando specialises in coaching competitive players, sports psychology and biometrics. Sahil had several years of coaching experience at the Sanjay Tennis & Cricket School in India, and the Clark Francis Tennis Academy in Dubai. A highly motivated coach, Sahil enjoys working with young children with the “Play and Stay” Programme as well as running camps, workshops and tournaments. He is also experienced in running Cardio Tennis programmes for recreational ladies. Nell is a former South African player from the University of Stellenbosch. A competitive junior player since her primary school years, Nell brings with her the experiences of a junior and collegiate player to inspire and guide our young players. This website and its content is copyright of Ignite Tennis Academy - © Ignite Tennis Academy 2017 all rights reserved. Read more about our copyright in our terms and conditions.